I am not and cannot be a political writer. But after the recent disastrous election, I feel that the most helpful thing I can do is to continue to write fiction that is true to myself: an older woman, bisexual, with disabilities. I am a slow writer. Please bear with me--and thank you for your support. Video is at the top of this page, above my photo. Video of my Personal Remembrace of 9/11 is the link at the top of this column. 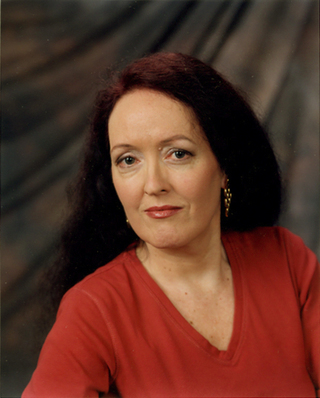 My radio interview with Janet Restino on her show, Heart & Soul, is the second link near the top of the column. There's some music first. 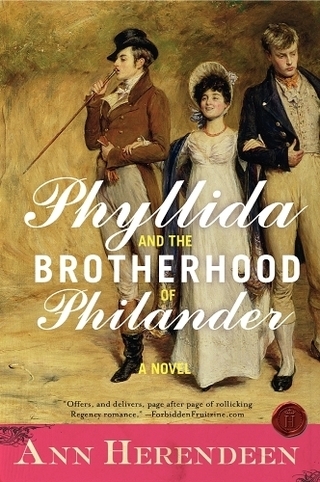 I only just discovered, five years after the fact, that the Author's Note, one of my better efforts of nonfiction, was left out of the e-book of Phyllida and the Brotherhood of Philander! HarperCollins will be releasing a complete e-book shortly. But for those of you who already bought the e-book, I am posting the essay as a (long) blog post here and on my LiveJournal. And you thought I couldn't write short! See my post ("When Life Imitates Art") on The Popular Romance Project's blog, "Talking About Romance." The link is at the top of the page. I love to hear from readers. annherendeen@gmail.com or use the form on the Contact page (click on "Contact" on the menu bar above). Issue 3.1 of the Journal of Popular Romance Studies has gone live, with the papers of presentations given at the Third Annual International Conference on Popular Romance (2011). I've put the link to my paper, "The Upper-Class Bisexual Top as Romantic Hero: (Pre)Dominant in the Social Structure and in the Bedroom," at the top of this page (naturally). The video of my reading from Birth, Book 4 of Lady Amalie's memoirs, is here (see link above). My queered version of the Cinderella story, A Charming Menage, is available in the 4th anthology from Gay City: At Second Glance. Retribution, Book 6 in the ECLIPSIS series of Lady Amalie's memoirs (e-books), is now "live" for Kindle, Nook and all other formats. Check out the fabulous new cover design at right! See the "Selected Works" section (at right) for Recognition, Choices, Wedding, Birth and Captivity (Books 1-5). My article, 'Banished Children': Jane Austen and the Village Wet Nurse, is on p. 8-9 of the fall issue of the JASNA-NY newsletter. Pride/Prejudice was honored to be one of the five finalists for the Lambda Literary Award in the Bisexual Fiction category! A conversation about Pride/Prejudice, interview with radio commentator Samuel Claiborne (see link above). Lady Amalie (my alter ego) reads Pride/Prejudice. Check out the segments on YouTube and Facebook. Photos from the Bilicious Show are up! Go to the Events tab here for my photos; the complete set is on the the Bilicious Facebook page. Check out my recently redone microsite at HarperCollins. I think they did a lovely job. There are two new items of interest to readers of Pride/Prejudice: a Q&A essay, and a Reading Guide. I've put the link in Quick Links. Watch the terrific trailer that gifted filmmaker M. Antonio Olmos made for Pride/Prejudice. In Quick Links. An article in The Huffington Post by Hillary Rettig, "The Lifelong Activist," on the Princeton conference. In Quick Links. The transcript of my Princeton conference presentation is in a newsletter (click on the "Newsletter" tab at the top left of this site). "Love as the Practice of Freedom? : Romance Fiction and American Culture," a first of its kind conference at Princeton University, Thurs.-Fri., April 23-24. I talked about Phyllida on the panel "Memory and Desire : Romance, History and Literary Tradition." Phyllida was recently reviewed by Danya on "Night Owl Romance," receiving 4 1/2 hearts out of 5, a Reviewer Top Pick. I've put the link to the review below, and posted excerpts on my Reviews page. Speaking of "Micro:" The OLM blog-Open Letters: a monthly arts and literature review posted a "microreview" of Phyllida. I've put the link below. There's an interview with me (and picture) by Adam Rathe in the "GO Brooklyn" section of The Brooklyn Paper, my local paper. The headline in the print version was "Rollicking Romance." Reviewer Jani Brooks, writing in Romance Reviews Today, has given Phyllida a "Perfect 10"! I've put an excerpt from the review in my "Works" section here, and added the link to the full review. Richard Dawkins likes witty satire but dislikes Jane Austen??? A native New Yorker and lifelong resident of Brooklyn, Ann Herendeen has worked as a researcher for an urban planning consultant; an advertising media planner; a public and academic business reference librarian; a trademarks monitor for an intellectual property law firm; and a cataloging librarian specializing in natural history. Ann is a graduate of Princeton University (B.A. with High Honors), where she majored in English while maintaining a strong interest in English history. She enjoys reading—and writing—for escape. Ann writes from the "third perspective," the woman who prefers a bisexual husband and an m/m/f menage. With Phyllida and the Brotherhood of Philander, Ann put a new twist on a traditional form, creating the ultimate love story she always wanted to read: a Regency romance with a bisexual hero. 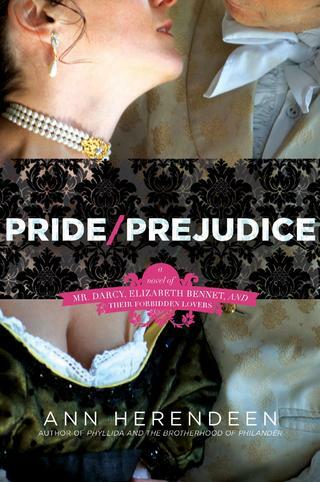 In Pride/Prejudice, she tells the hidden bisexual story within Jane Austen's classic novel. In the ECLIPSIS e-book series of "Lady Amalie's memoirs," Ann takes readers back to the future as she brings her unique perspective to the sword-and-sorcery genre. "She was present all the time, except when she went out to fetch liquors. The company talked all manner of gross and vile obscenity in her hearing, and she appeared to be wonderfully pleased with it"--testimony of an informant at the trial of Margaret (Mother) Clap, accused of running a "molly house" (gay bar) in London in 1726.